Add the butter to a small stockpot over medium high heat and melt. Whisk in the flour and cook for 2 - 3 minutes. Slowly whisk in the Roasted Chicken broth. Add the corn and simmer on low for 10 minutes. Slowly whisk in the Hot Sauce, heavy cream and liquid crab boil to the pot and simmer for 2 - 3 minutes. Turn off the heat and carefully stir in the crabmeat, try not to break up the crab. 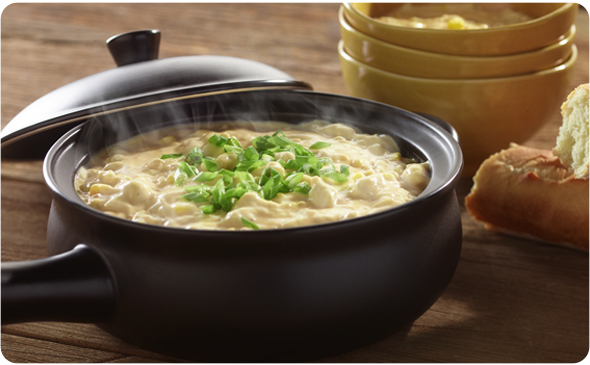 Serve the bisque in large bowl garnished with green onions.